There are adjustments, then there are calibrations. I believe the math applied to the satellite data is calibration. Some of the changes to the ground data is calibration (like time of day) but the biggie you discuss, adjustments for relocation or changes in surroundings, is not calibration. If adjustments to the raw temp data is made because of urban heat island impact, then the adjustments should be down but most, as you note, are up. The lack of transparency and sharing of data is the biggest problem; in the context of climate-gate, the hockey stick, etc. that have pointed to very legitimate questions about the integrity of many of these climate "scientists" and their data/conclusions. If you're not willing to be open with your work for the scientific method to do it's thing (i.e. be open to challenge and review) then you're not a credible scientist. one way to try to get at a better signal is to use the most consistent possible datapoints with the least contamination. the USCRN is an attempt by the NOAA to do just that. it's 114 pristine sited stations in the us with unchanged equipment. it shows a DROP in US temperatures of 0.4 degrees c over the last decade. contrary to the full NOAA data-set, it does NOT support claims of warming over the last 10 years. when your most accurate control data disputes the signal from the rest of your system, it would seem to make sense to look at the issues with the rest of the system (urban heat island, bad adjustments, data manipulation, etc). this is supported globally by the RSS satellite system which, despite not being perfect, is, hands down, the best data we have. 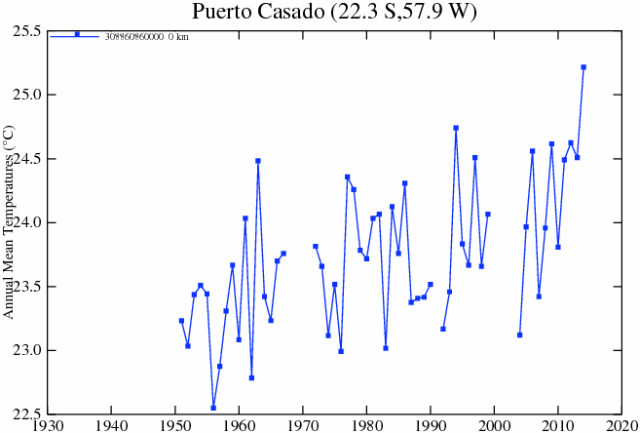 that data shows no warming for 18 years. the problem with a terrestrial system is siting. it's incomplete, it does not cover oceans well, and worst, it's highly impacted in one direction by urbanization and this impact is likely several times the size of the century long trend being measured. (the average estimated error in the ushcn system due to siting is 2-5 degrees c based on their own guidelines) there is no way to adjust out an effect that much larger than the signal being measured with any degree of even remote accuracy. the data is junk. I really believe that if were experiencing the kind of climate events that happened in the 1930's everyone would be (and rightfully so) freaking the hell out. The 1930's had some terrifying climate happenings. The dust bowl was a combination of climate effects (prolonged drought) and poor farming practices, but was a true disaster. Only through changing farming methodologies and activities and by the increased use of irrigation have we mitigated something like the dust bowl happening again. But that doesn't change my belief that if we had a modern dust bowl it would be used to argue climate change, and possibly completely rightly so. That being said however, lead me to my next issue. 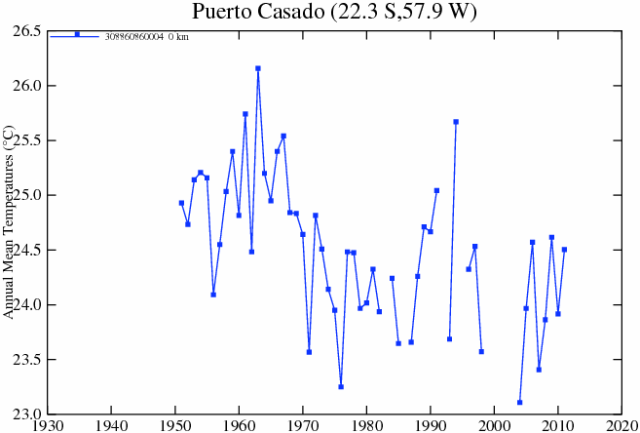 The temperatures that are adjusted down with the most regularity and largest magnitude are the temperatures from the 1930s. I'm surprised these people are letting us look at the raw data before "adjustment". Harder to cover your lies that way. It's obvious the adjustments are the result of advocacy, they wouldn't adjust upwards at every site otherwise. One point to note about moving stations. The proper way to make adjustments is to set the new station up and run old and new in parallel for at least a year, then you make adjustments based on the differences from that year and report the data. What you don't do, and what is driving many of us nuts is 50 years after the fact decide that most of these adjustments were wrong and fix them based on your nifty new model. Many rural stations, for example have been diagnosed as too low, because they aren't keeping up with cities and therefore the station switch data must have been incorrect. Now the country is as warm as the city, heat island effect be damned.